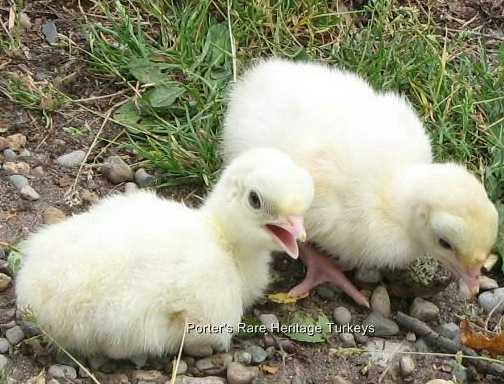 The Fall Fire turkey is a variety that we developed. They are a much richer red coloration than our sweetgrass or calico varieties, the photo shows a sweetgrass tom in the background for comparison. Besides the Fall Fire Pattern,they will also produce Sweetgrass and a Red Palm type which will breed true. Approx.weights: Mature Toms 25 lbs. and Hens 12 lbs.